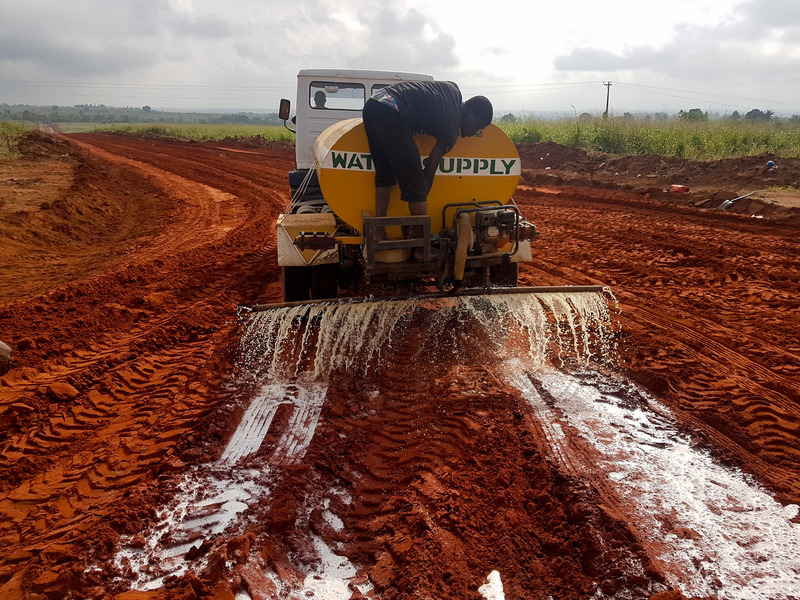 Our Construction Foreman Jayme Gladden just finished up an EarthZyme® application on a farm road in Sobe, Edo State, Nigeria. 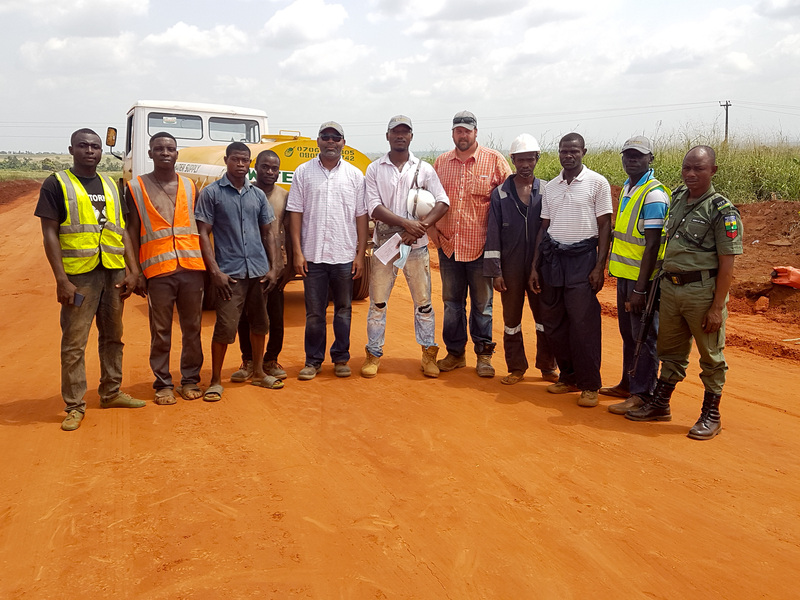 Through a partnership with our Nigerian distributor, Fanaxel Nigeria Ltd, the road construction was executed by partnering company, TransAfrika Roads Technologies. 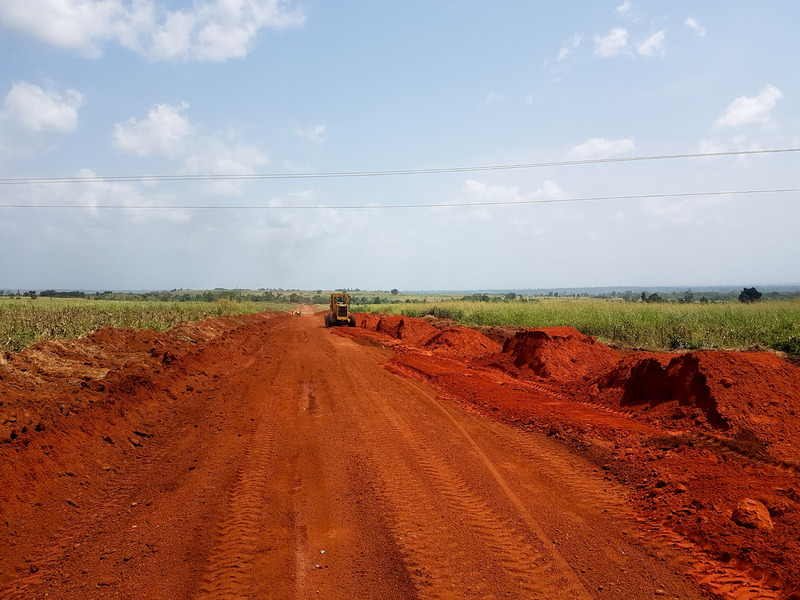 The initial road was little more than a trail with only 2 wheel paths, which was very uneven and completely un-drivable at times. 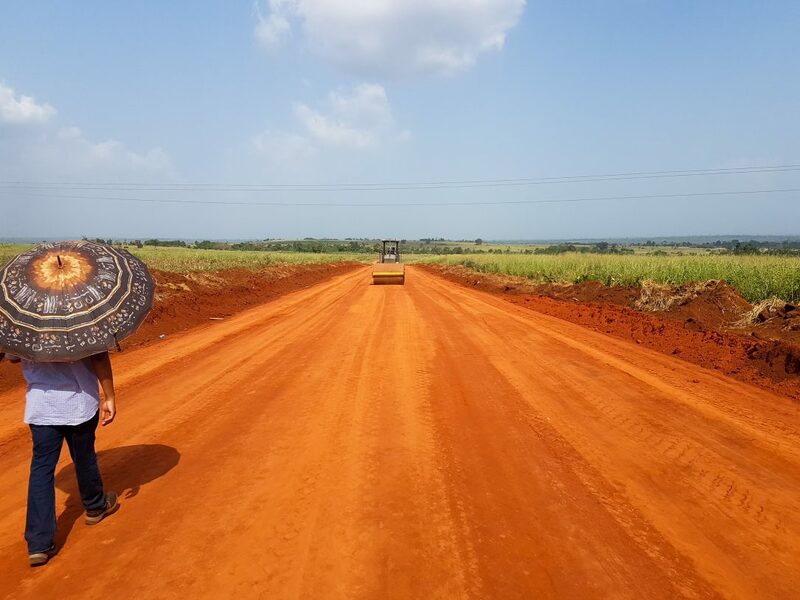 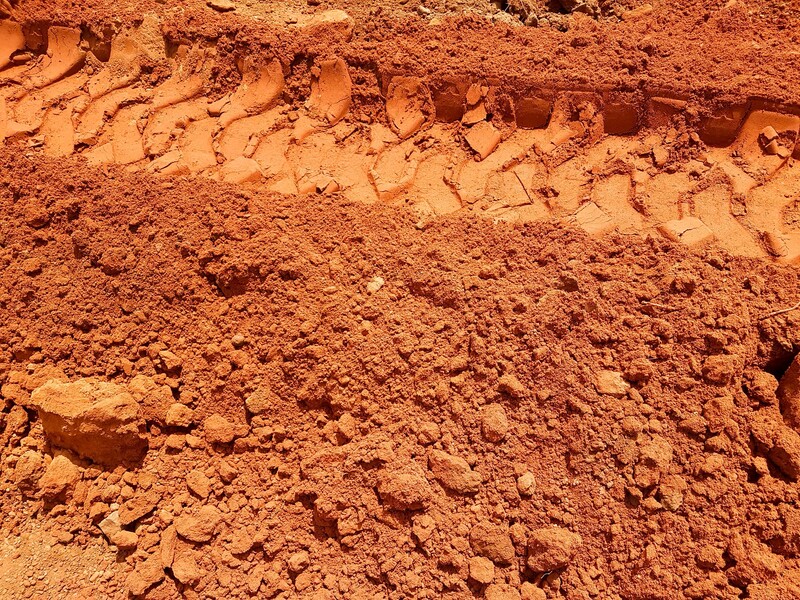 After construction and EarthZyme® application, the road was widened to 7.3 meters to allow higher volumes of traffic. 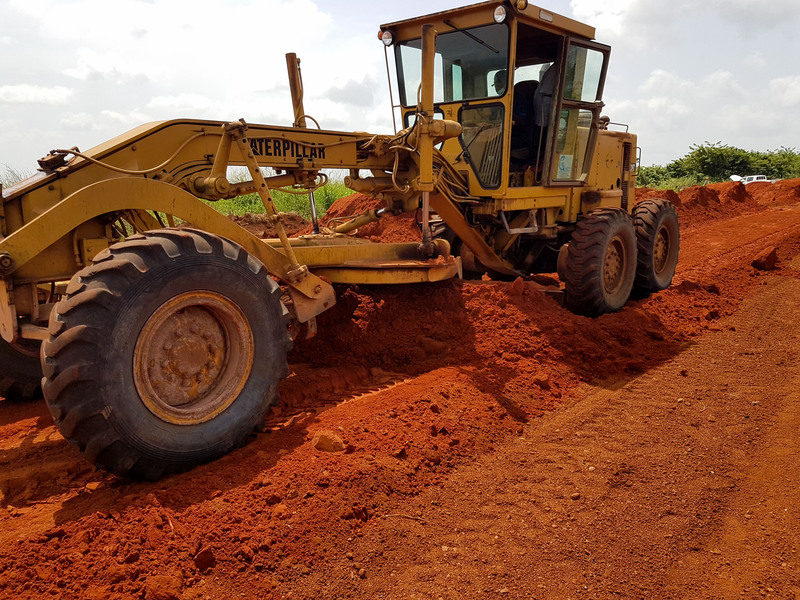 The new road was built to give the local farmers better access to their fields and to help them transport their crops to neighbouring towns for faster shipping while the crops were still ripe, giving them better returns on their yields. 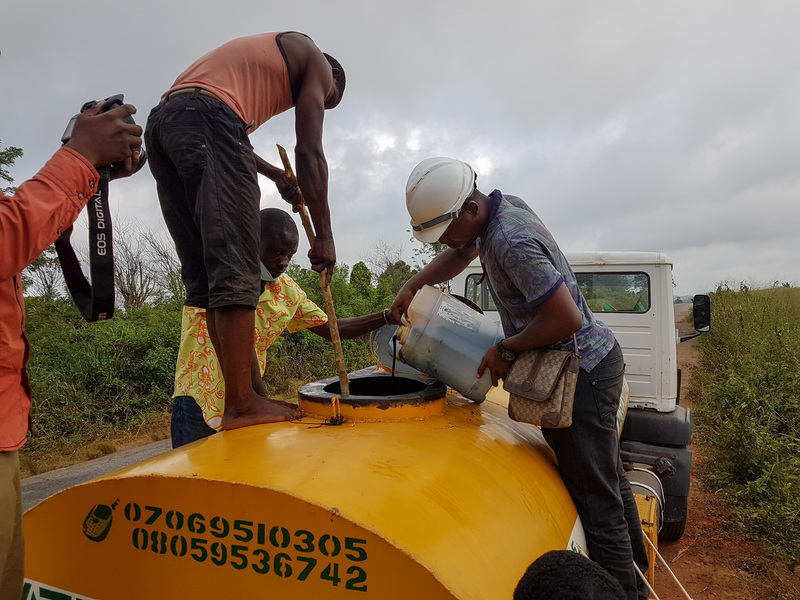 We here at Cypher Environmental Ltd. are proud to be able to exercise our Corporate Social Responsibility and help developing countries realize their potential for greatness. 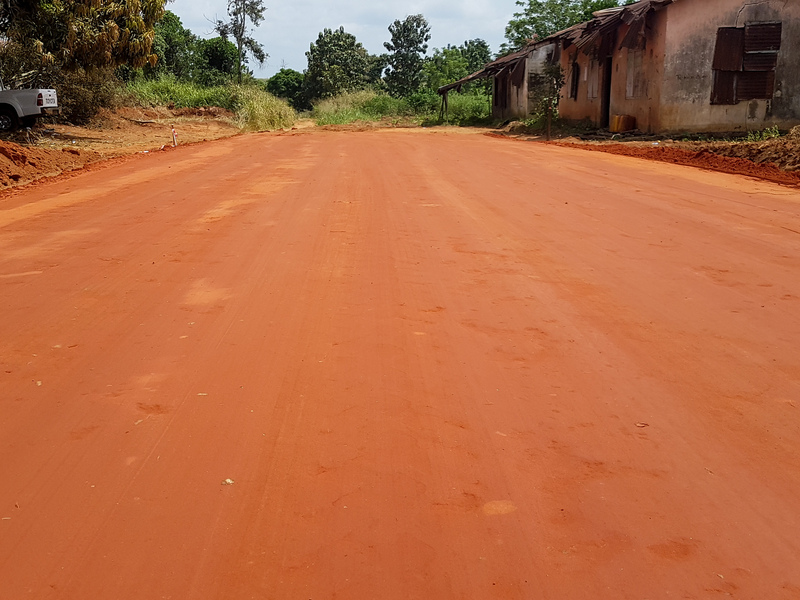 Click below to read about more projects like Sobe in Edo State, Nigeria!